Kalpa,a Society for promotion of Literature, Art, Culture and Social harmony,presents Pragjyoti Dance Festival: A View of Indian Dance by Young Proponents. 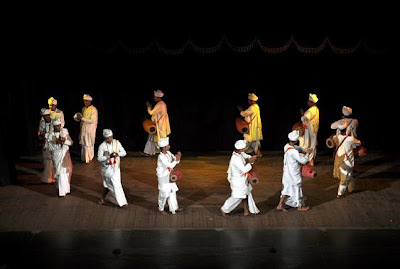 The festival, initiated in the year 2009, is aimed at contributing towards integration and harmony through art and also providing an avenue to young classical dance talents. This year's festival is conducted with support from Indian Council for Cultural Relations, Ministry of External Affairs, Government of India, and Directorate of Cultural Affairs, Government of Assam. The festival has received great accolades from the connoisseurs of Indian Arts all over and has been a platform for the promotion of young dance talents and a space for social and cultural convergence. During the last two Festivals dancers from different parts of India and abroad (Bangladesh, Nepal, Japan, Russia, U.K and U.S) have taken part. It plans to feature artists from Ukraine, France, Sri Lanka, Israel and many parts of India who have selflessly been learning Indian dance forms. The festival also aims to contribute towards promoting the ideals of peace and harmony through the aesthetics of Indian heritage.